Everyone knows what the 12th August means to most upland game keepers and Red Grouse shooters, but on this day in 2015 an amazing incident was recorded by a hill walker in the Pennines. The man was high in the hills away from any shooting when a noise suddenly nearby focused his attention. 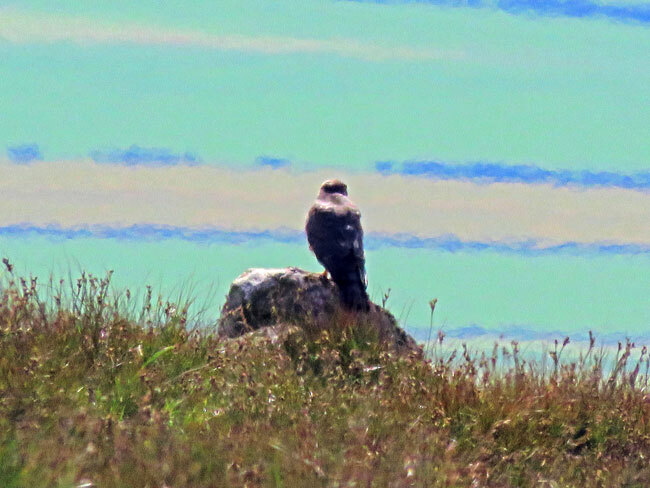 He realised that he was watching a very tame young Hen Harrier perched just feet away on a boulder. From the small size of the bird and its appearance he identified the bird as a juvenile male. The bird was calling insensately giving the impression it was calling for food. Not only was it calling, he could see it had a pack on its back with an aerial, this made him think that the bird was having trouble catching prey due to the satellite tag which had been attached onto his back as a nestling. At the time of this amazing observation the bird was no where near any of the 2015 nest sites. Diversionary feeding hen harriers throughout the breeding season on Red Grouse moors has become a normal situation in England and has demonstrated that the number of grouse predated by an adult hen harrier declines dramatically. There have been a number of observations of this not working, for example when male harriers continue to bring in ‘wild’ food. There has been a record of a female harrier rejecting dead items placed on bird tables positioned near a nest removing and carrying away rats and day old chicks and dumping them up to 300 metres away. 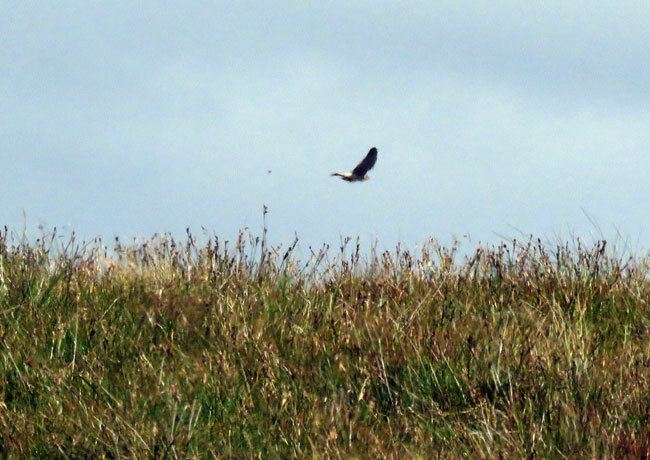 Very few people monitor harriers away from their nests after fledging. Using radio trackers and a map to follow the movement of the few harriers fitted with a satellite tag, the question must be asked ‘was this incident in the Pennines the normal for harrier chicks being fed from a bird table festooned with an assortment of other dead prey?’ One juvenile hen harrier fitted with a satellite tag was found dead after starving to death in 2014. This recovery clearly demonstrates the majority of fledged harriers, along with their tags, are removed from their last locations never to be seen again, the harriers resumed shot and their tags destroyed. Logically, we must accept many fledged juvenile hen harriers are being shot following supplementary feeding. With so few of these birds having been fitted with satellite transmitters [ Langholm 2014 – 44 young reared, only 2 fitted with a satellite tag!] surely they now face an even greater danger, that diversionary fed harriers may be beginning to accept people as their best friends!! 1 comment to Are diversionary feeding bird tables making Hen Harrier tame? This is interesting and, maybe, suggests that birds handled by raptor field workers are being conditioned into accepting that a person is non threatening. Fitting these sat tags takes time and a lot of handling is involved. In my opinion, the fitting of sat tags, wing tags or rings is an infringement of the bird’s natural rights which may interfere with the bird’s ultimate survival. In Angus we have evidence of at least two Golden Eagles that have had their sat transmitter harnesses working loose to dangle down in front of the bird, inhibiting flight and probably hunting abilities. The notion that these sat tags are harmless and will fall off through natural degradation of the harness stitching after 4-5 years is unproven and I know of one White-tailed Eagle that has had her sat tag operating for seven years. Diversionary feeding of raptors where insufficient prey exists is daft, especially regarding the touristy, money making feeding centres for kites. A prime example of this is the proposed introduction of young Golden Eagles to the Southern Uplands of Scotland where evidence suggests that prey is minimal and additional feeding of resident eagles is already taking place. Do we really want to turn our land into a vast, open zoo where birds just don’t know whether they are coming or going?